A gold coin earned is a penny saved. I wish we lived in a world where I could punch blocks made of bricks without breaking my hands and money would pop out. Sadly, with the laws of science being what they are, the likelihood of such a thing happening is rather minuscule. However, it looks like Nintendo has found a way to offer up some free gold that won't leave my arms in casts. The company will now allow consumers who purchase digital games and DLC for the Switch an opportunity to redeem their gold points on their My Nintendo accounts toward the cost of their items. Buy a qualifying digital game for Nintendo Switch, Wii U™, or Nintendo 3DS™ family systems, or a physical game for the Nintendo Switch system. Earn Gold Points based on the amount you pay (excluding any points or discounts used). Redeem those points on your next eligible digital purchase (including games and DLC) for the Nintendo Switch system. Just look for the option to apply your points during checkout. Purchasing a digital game that's priced at $59.99 will earn consumers 300 gold points, which gets them $3.00 off their next purchase. The points are good for 12 months, giving consumers a year to use them on products. Unfortunately, the deal applies only to games for the Switch, so Wii U and 3DS games, as well as in-game items or virtual currencies, are not part of the new program. Purchases of Nintendo 3DS or Wii U DLC do not qualify to earn Gold Points. Additionally, service items/tickets, in-game items or virtual currency do not qualify to earn Gold Points. 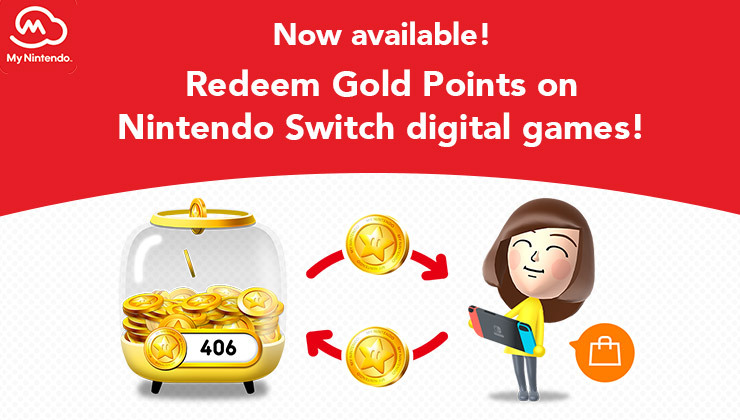 Gold Points can be used toward all eligible digital game and DLC purchases for the Nintendo Switch system, excluding automatic subscription renewals, service tickets and in-game items. My Nintendo Gold Points expire after 12 months on the last day of the month in which they were earned. Visit My Nintendo Rewards Program Terms of Service for the full terms and conditions. 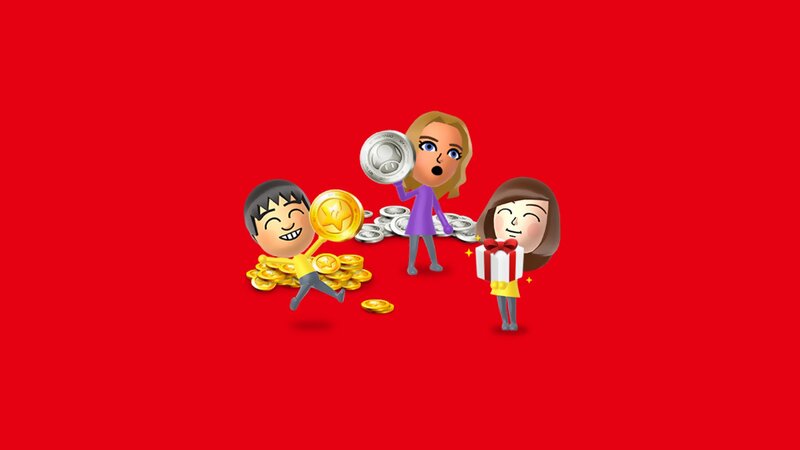 Players will need to members of the My Nintendo program in order to collect gold points and redeem them towards Switch purchases, but signing up is free.